First, many thanks to all who have, and continue to, support the St. Patrick's Day Parade in so many ways. I’m looking forward to working with you all again. We appreciate your support for the Saint Patrick’s Parade & Festival. With your help, this year’s program book will be even better than the last! 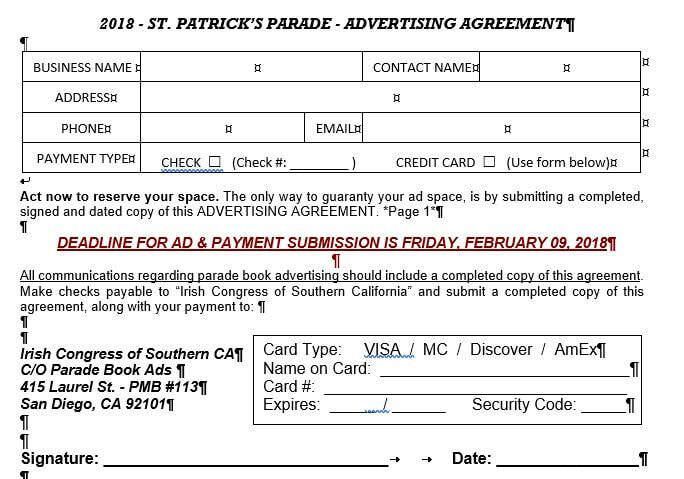 Since this year’s parade & festival will be held on St. Patrick’s Day, we're starting our campaign a little early, so that we can get the program books delivered immediately after publication and ahead of parade day. Included with this letter, are copies of our 2018 ad agreement form, pricing information, and ad guidelines and specifications sheet. Please read through them carefully, and respond as soon as possible with your preferred advertising information, so that we can be sure to reserve your advertising space. As you may know, we now offer advertisers the option of having custom ads created for just $50 per ad. 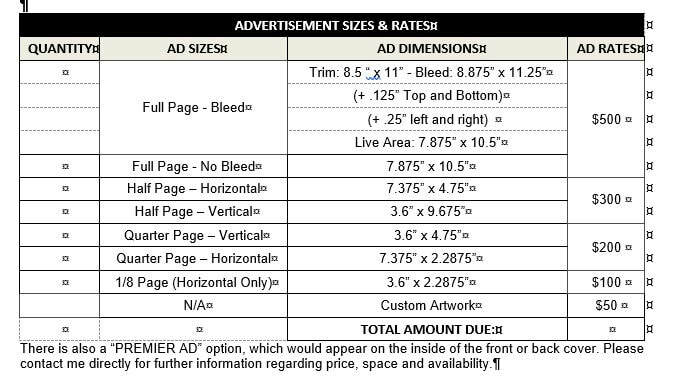 Fill in the “CUSTOM AD DESIGN” section of the ad agreement, along with the quantity, ad size and total payment due. Our editor, and graphic designer, Mike Pekonen, will contact you soon after, regarding your custom ad and artwork requirements. At that time, Mike can also answer any questions you might have regarding your custom ad design. PLEASE NOTE: Extra time may be necessary if choosing this custom ad option, so please help us by submitting your ad request ASAP if you decide to utilize this valuable design service. 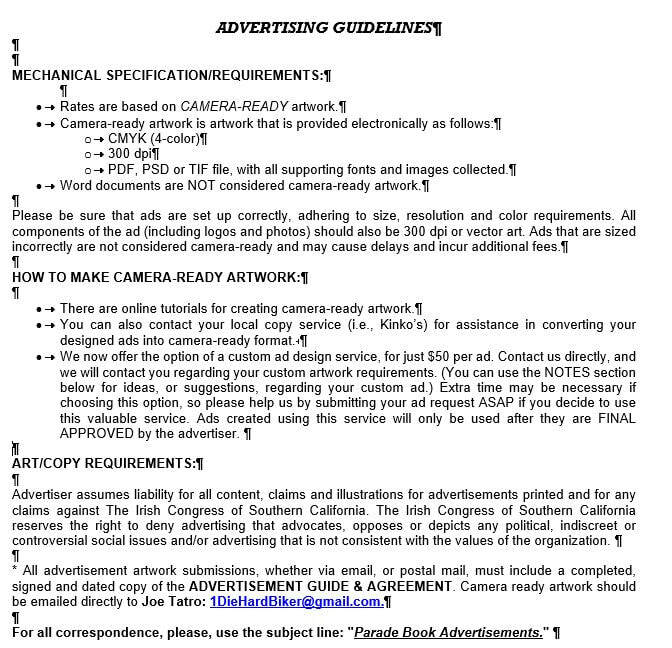 For those submitting their own camera-ready ad art, the submission deadline, for receiving artwork this year is Friday, February 09. PLEASE NOTE: We MUST receive your payment, your completed Advertising Agreement, and your Ad Art, by the Feb. 09 deadline in order to SECURE YOUR 2018 ADVERTISING SPACE! If you have any questions, please contact me ASAP and I'll try my best to get them answered for you as soon as possible.